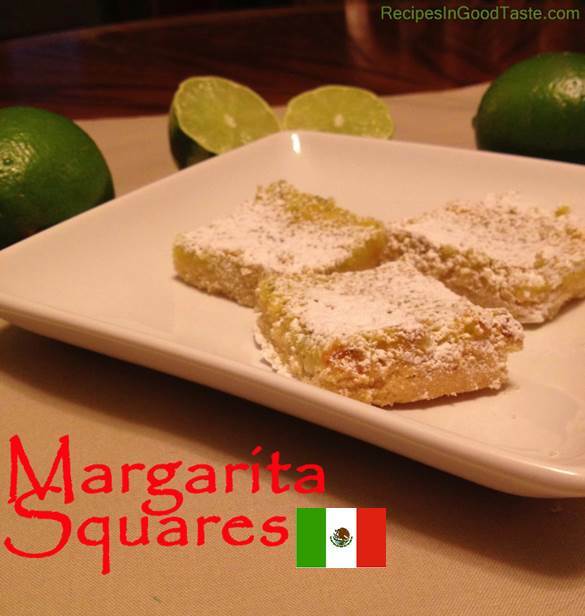 These Lime Margarita Squares have a distinct lime flavor much like a Margarita. They are tart and slightly sweet with a buttery crumb crust. Topped with powdered sugar they are perfection. 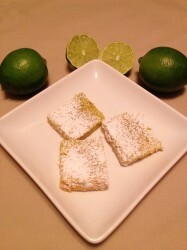 I n my opinion, I think they are much better than a Lemon Square – but I have always been a huge fan of anything lime.